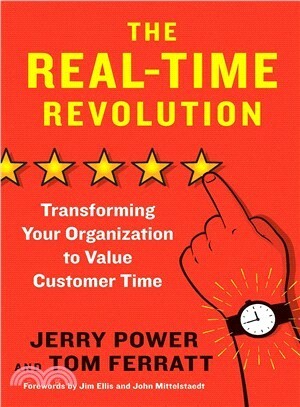 Time has become a precious commodity, so business leaders who can save their customers' time more effectively than competitors do will win their loyalty. This book shows how it's done. Business survival requires valuing what customers value--and in our overworked and distraction-rich era, customers value their time above all else. Real-time companies beat their rivals by being faster and more responsive in meeting customer needs. To become a real-time company, as top scholars Jerry Power and Tom Ferratt explain, you need a real-time monitoring and response system. They offer detailed advice on how to put procedures in place that will collect data on how well products or services are saving customer time; identify strengths, weaknesses, threats, and opportunities; and specify innovations needed to save even more customer time. Where should leaders look to innovate? Powers and Ferratt say to search every step in the life of a product or service, from development to production to usage. And for each step, they identify four possible levers for innovation: the design of the products or services themselves, the process used to produce them, the data that can be gathered on their use, and the people who make or provide the product or service. The book features dozens of examples of companies that are getting it right and the innovations they used to help their customers save time, all while helping themselves to a hefty slice of market share. This is a comprehensive, authoritative guide to thriving in a revolution that is sweeping every industry and sector. Jerry Power is the executive director of the Institute for Communications Technology Management, assistant professor of clinical marketing for the University of Southern California, and a founding member of the I3 Consortium. Thomas Ferratt is professor emeritus at the University of Dayton. He is a nationally recognized academic, researcher, and consultant. He has written extensively in leading journals on a variety of IT-related topics. He holds a PhD from Ohio State University.